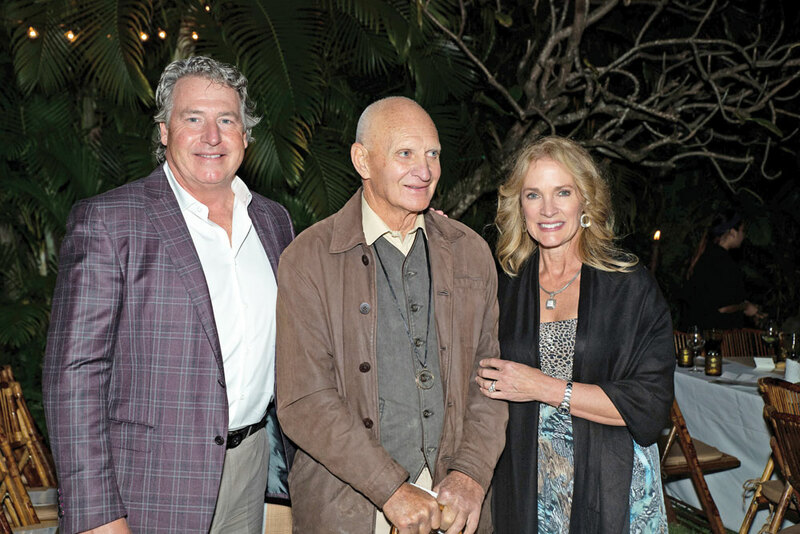 Conservationists gathered at the home of Liza Pulitzer—daughter of fashion designer Lilly Pulitzer—and Bob Calhoun in Palm Beach, Florida, on March 22 for the annual GEOS Foundation Safari Gala. Middleburg’s Jason Paterniti founded the nonprofit in 2009 with the mission of conserving at-risk species and places. 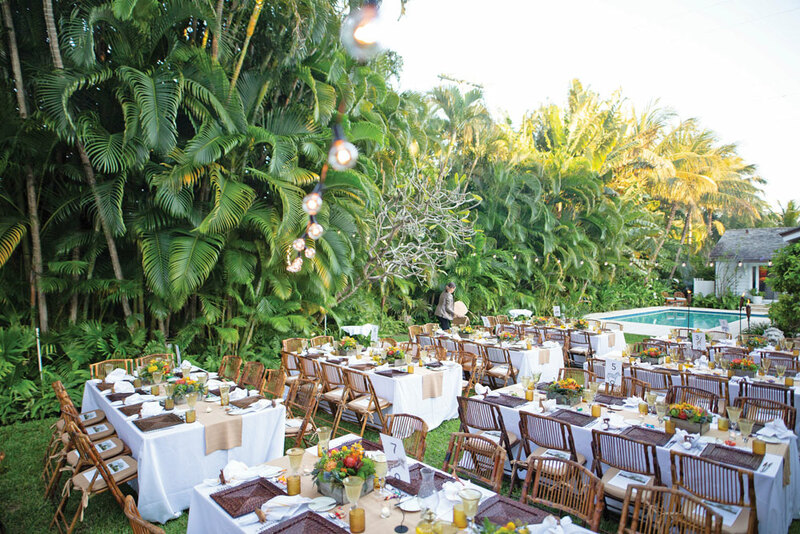 Many familiar local names, including Matt Sheedy, have supported the foundation’s endeavors ever since—including the project at the center of the Safari Gala, a rapid-response counter poaching effort in Mozambique’s National Parks. 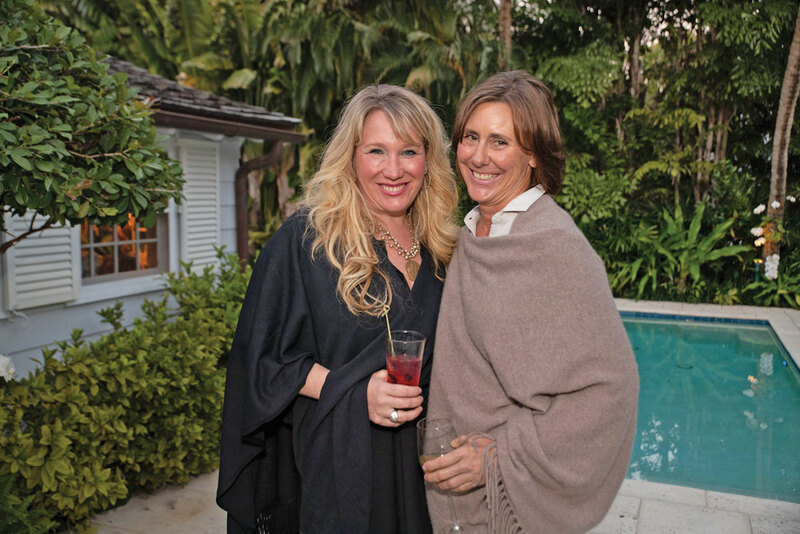 Liza Pulitzer and Bob Calhoun generously hosted the event at their home in Palm Beach, FL. Under a zigzag of warm, glowing string lights in Pulitzer’s back yard, the battle-hardened guest of honor, Colonel Lionel Dyck, head of field operations in Africa, spoke candidly about life at the counter-poaching front line. While Dyck’s stories of the men, women, and canines on the team GEOS Foundation supports were heartfelt and even humorous, he spoke in plain English about the team’s enormous accomplishments (including a sustained 90 percent reduction in poaching rates for the last three years), how donors present had saved a ranger’s life by funding a helicopter the previous year, and exactly what he needed to ensure his team’s safety and continued success this year. Stephanie Bates and Leslie Kopp. Michael Smith, Colonel Lionel Dyck, and Wendy Smith. 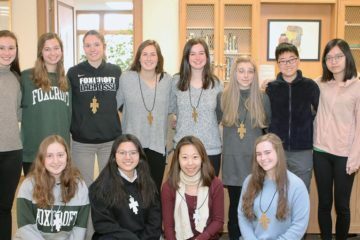 This article first appeared in the April 2019 issue of Middleburg Life.